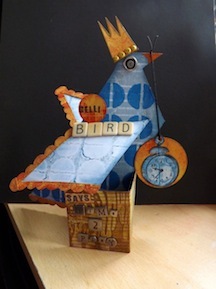 Those gelli prints have turned out brilliantly and then I saw the fab card. What a great project. Hmmmmm, intriguing. Can’t wait to see the finished results. I grew up next to farm fields, my family owned them and rents them to farmers, I remember the “manure” smell well:) Smells like summer! Now I love the idea of a satellite table. I guess the ironing board serves that purpose for me! Looking forward to seeing your project come to fruition during the hop. Will be photographing mine soon. Thanks for stopping by. We got the old fertiliser going round here too…I gave in yesterday, it was too strong at the workshop..we lit a large bonfire. Prolly pissed off the residents more than the smell, but it had to be done if I was going to work there!! I’m wondering why the satellite is in use..is the main desk already full of projects for UKS? You are so prolific! 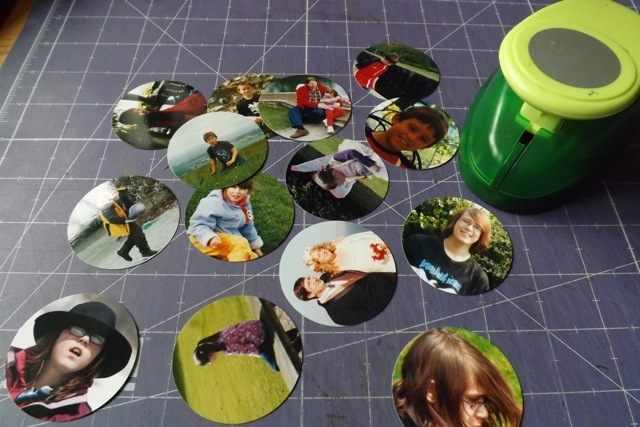 You took me back to the days of creative memories and cutting my photos into circles !!!! You can’t just keep us hanging like this, need to know what you are up to with those circles, lovely photos by the way. Quick visit this week as I’m trying to visit a few more desks this week. 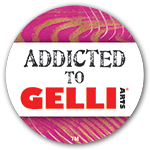 Gelli plates are so much fun!! Love your Gelli plate circles on the wall, very eye catching!! Hope that the smell has gone by now :-). Happy WOYWW. Well, aren’t you just a big tease. 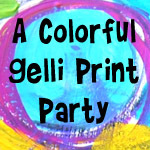 Like the gelli prints. Another person who’s been bitten by the gelli plate. Happy WOYWW from # 2.